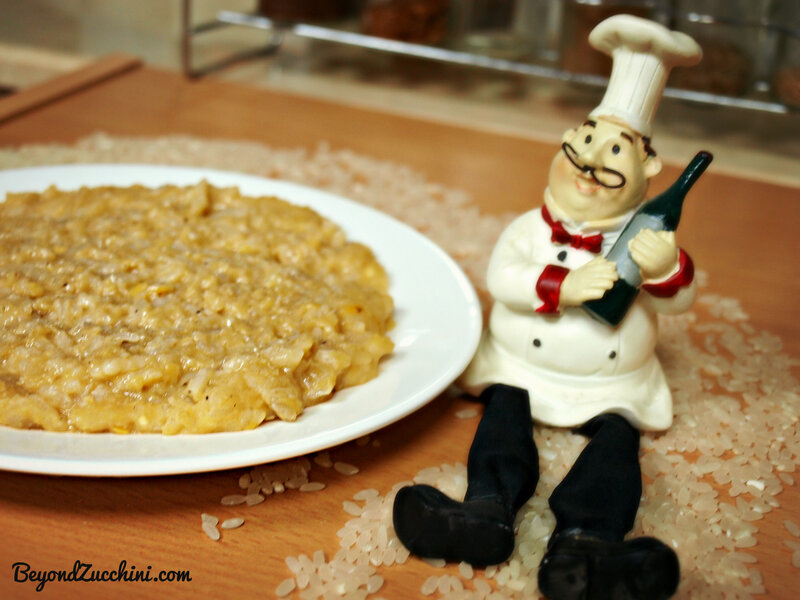 Who says vegans don’t get to sample a glorious risotto every once in a while? There’s nothing like a grabbing, savory aroma and a creamy, melt-in-the-mouth forkful of goodness. This is my own adaptation of a traditional “mjadara” recipe (lentils with rice). This one contains red lentils instead of brown (for the “creamy” effect), a wee bit more spice, some organic stock, and a sprig of parsley, rendering it more “risotto-ish”. It is one of our favorite lentil-based dishes, and it was actually one of our daughter’s first solid foods, which she loved as a baby (up until now)! And best of all, it only takes around 25-30 minutes to cook (and even less if you use white rice–but I prefer using brown rice for the added health benefits). The nutrition fact labeling presented below provides the nutrients in the whole risotto pot, so you will need to divide everything by 5 –that’s about 285 calories per serving, along with a hefty amount of folate, phosphorus, zinc, copper, iron, magnesium, and vitamin B6! 1. In a pot, saute the onions and parsley for around 5 minutes on medium heat (until slightly browned). 2. Add the water and bouillon, along with the rice. bring to a boil, then cover and simmer for around 20 minutes if you are using brown rice. 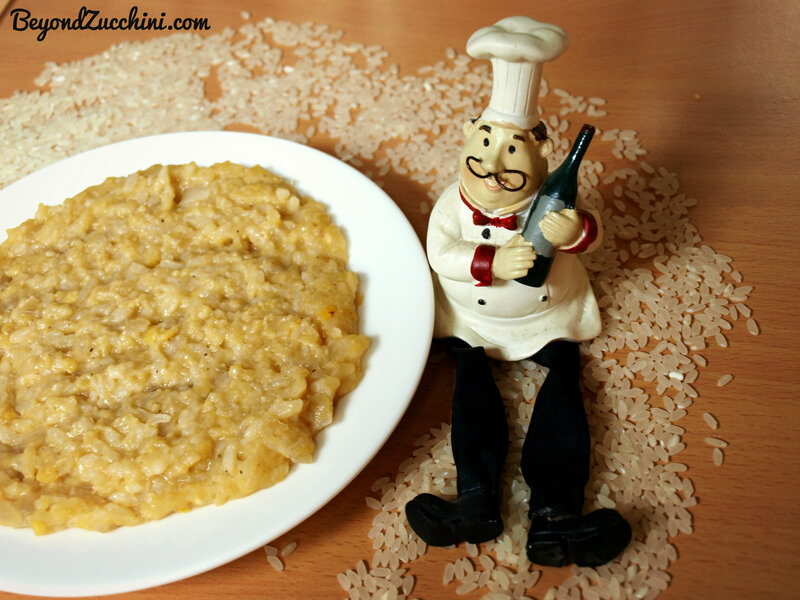 Alternatively, simmer for around 10 minutes if using white arborio rice. 3. Stir in the red lentils and the spices, and leave for around 5-10 minutes, or until the lentils dissolve into a tan-colored “cream”. Once the lentils start dissolving, you may need to stir constantly for a few minutes to prevent the risotto from sticking onto the bottom of the pot.